Riches of Ra is an Egyptian-themed online video slot machine that virtually takes you back in time to the pinnacle of that ancient civilization. Players can benefit from random Wild icons on Riches of Ra that substitute for any other symbol and increase their chances of hitting the jackpot! The bonus round is triggered by hitting a combination of three golden urns. The player is asked to choose an urn that magically opens to reveal a surprise bonus. 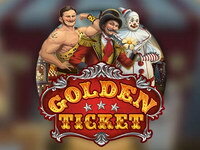 Riches of Ra also features plenty of bonuses that offer you free spins! 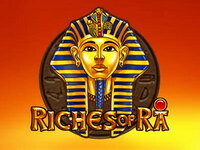 - Riches of RA is a 5-reel video slot game. 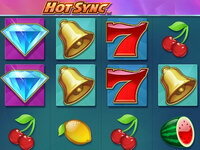 You can activate up to 15 lines and bet up to 5 coins/line. Lines must be activated in numerical order (1,2,3,4, etc.). - Three bonus symbols anywhere on the reels triggers the Pick-a-Prize bonus where you select one of the bonus symbols to reveal the prize won. - Riches of RA includes a stacked wild symbol (Ra) and a bonus symbol (the urn). The wild symbol substitutes for any other reel symbol (except the urn) to help comprise winning combinations. 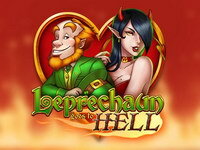 - Stacked wilds fully covering both reels 1 and 5 trigger the free spin feature; a sequence of free spins commences during which reels 1 and 5 are stacked with wild symbols that substitute for any other reel symbol (except the urn). These wild reels remain stationary during the entire free spin sequence. 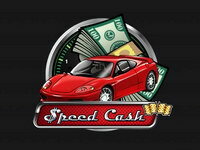 Additional free spins are not awarded during the feature. 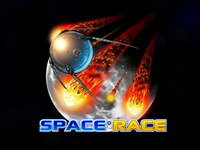 Space Race is a virtual slot machine made by Play 'n GO. Three or more meteor symbols anywhere on the reels trigger the Meteor Spin round; a sequence of free spins commences in which the meteor symbol is wild. Three rocket symbols anywhere on the reels trigger the Moon Landing bonus round.